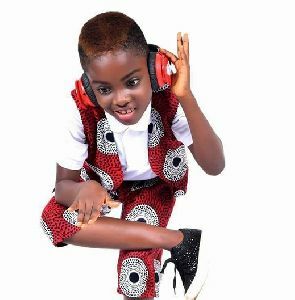 Ghana’s youngest DJ, Erica Tandoh, best known as DJ Switch recently made Ghana proud when she featured on the world largest news broadcaster, BBC Africa. The 10-year-old has already achieved a lot and keeps making herself and Ghana proud whenever she faces the console. Her fan-base continues to expand as her feature on BBC has also added more fans, both locally and internationally. A great American actress, Gabrielle Union Wade is one of such international fans of the young DJ. In response to the later’s feature on British broadcaster, the ‘Being Mary Jane’ actress took to twitter to express her love for Switch. This is surely a big plus for ‘Discovery of the Year’ winner at the 2018 Ghana DJ Awards. Switch gained mainstream acclaim with her performances in TV3’s Talented Kidz Season 8 in 2017 – emerging as the winner at the finale. The feature on BBC Africa‘s What’s New – a new show covering stories for young people in Africa finds Switch talking about her come up, sharing five top tips on how to become a great DJ, amongst other issues.